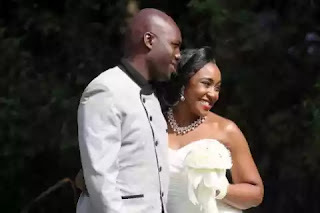 Celebrity media power couple of award winning NTV investigative journalist, Dennis Okari and the gifted and gorgeous KTN news anchor betty Kyalo recently walked the aisle in a glamorous and glitzy wedding and as we speak, the two are have visited different destinations including Dubai, Diani and Mauritius to enjoy their honey moon. As we all know, honey moons are meant to be enjoyed without engaging in any other activities related to work and stuff but things are different for the breath-taking screen siren. She still spares some time to keep herself busy. 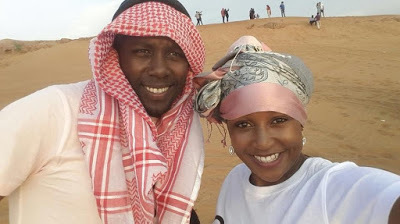 Her husband, Dennis Okari recently shared photos of his wife who was totally engrossed in what is supposed to be a chilling and relaxing time.